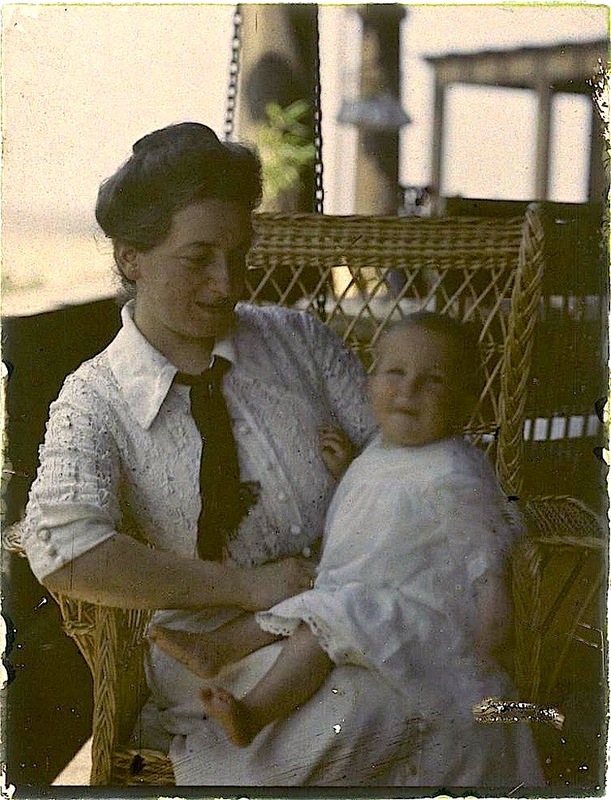 “Woman holding baby on outdoor porch,” ca. 1915, an autochrome by unknown photographer, via George Eastman Museum Commons on flickr. The porches look as if they are facing out to a beach.